When it comes to holiday decor, I love a look that’s equal parts rustic and glam. 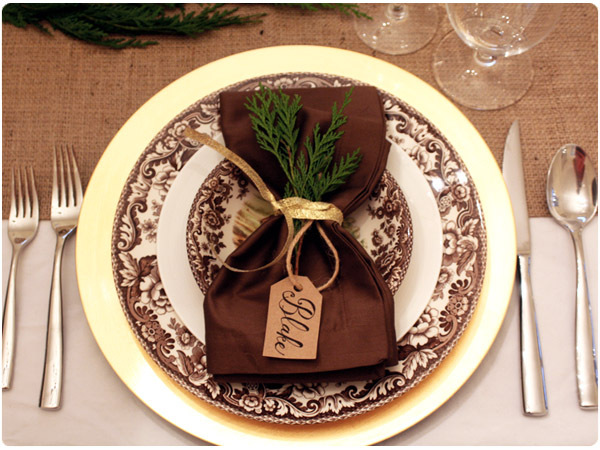 This year for my holiday table I’m working in flashes of gold on an otherwise neutral palette. With just a little effort, a table full of things I already had feels festive and special enough for guests. 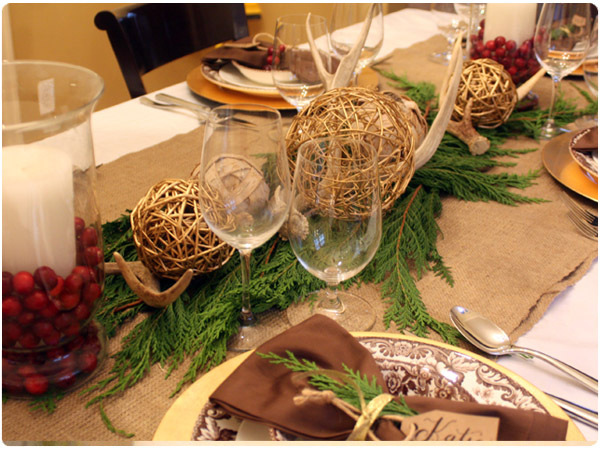 I dressed up a plain white tablecloth with an unfinished burlap runner, antler sheds and golden twig balls. Fragrant cedar boughs and real cranberries add bits of color and a fresh feel. I couldn’t decide between these two DIY napkin rings so I used both and placed them on alternate settings. 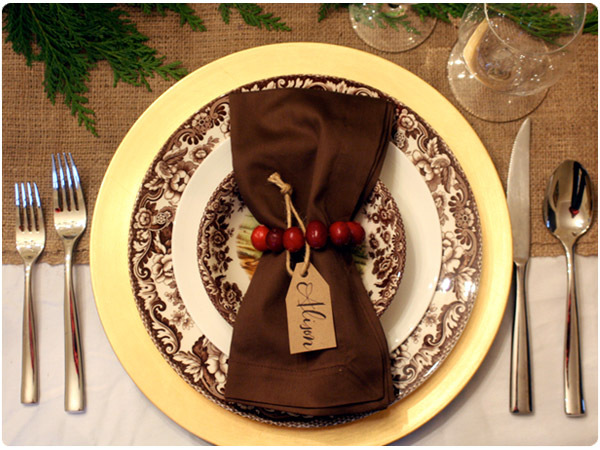 I wrapped sparkly gold ribbon loosely around brown napkins and tucked a sprig of cedar and a nametag inside. 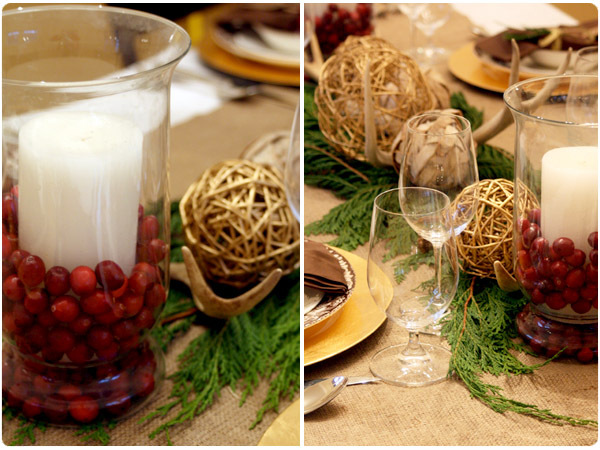 For the cranberry napkin rings, I used a needle and floss to string a handful of cranberries into a circle shape. 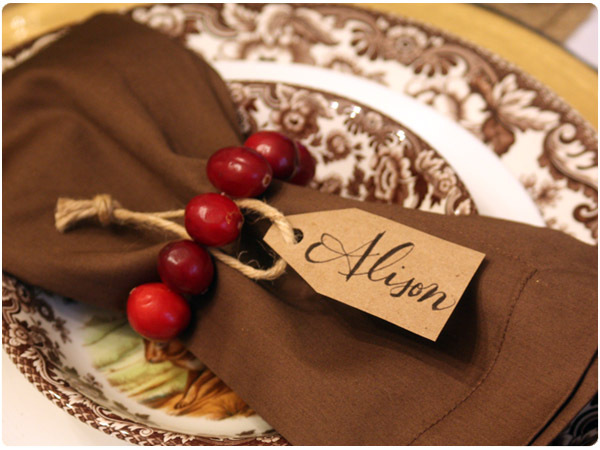 Just knot the floss around the last cranberry and rotate the knot the to underside of the napkin for a prettier look. Looks beautiful. The Spode Woodland china is perfect for a Thanksgiving table. Gorgeous! Love your plates too! 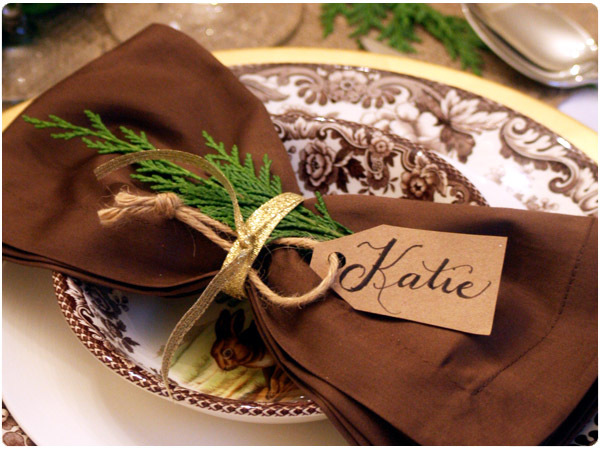 Katie, I love the use of fresh greens as the base to your beautiful tablescape. The gold chargers really set off the Woodland china!